At a very young age, a child begins to form their sense of self, even infants can recognize subtle differences between themselves and others. 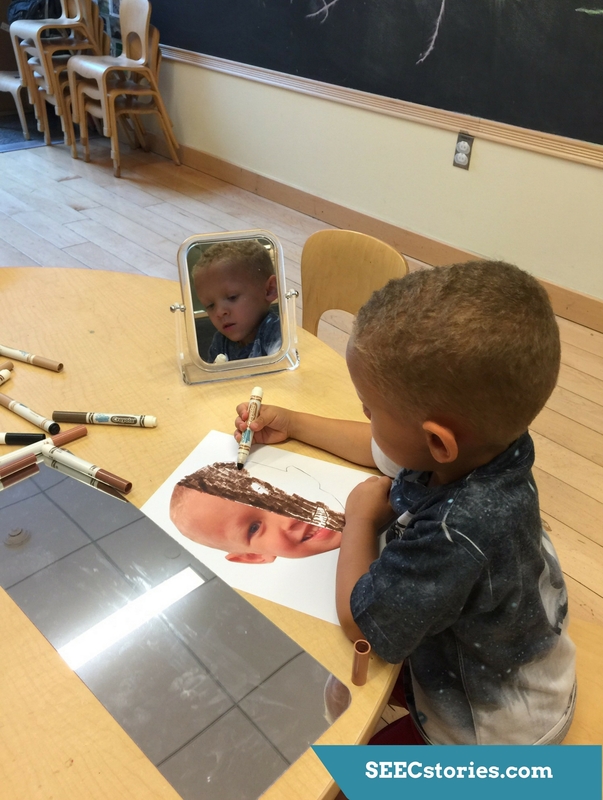 Early childhood educators can play a key role in helping a child form a positive self-image. Similarly, educators can also instill in their young students a respect and appreciation for diversity. It seems like a tall order, but by thoughtfully choosing content and activities and, by creating an inclusive environment, educators can begin to help shape a child who values both themselves, and others. SEEC has partnered with the National Museum of the American Indian (NMAI) to publish a series of blogs that we hope will begin to help teachers and parents reconsider some of the traditional lessons and activities that are often circulated, especially on social media channels, during the Thanksgiving season. While they may appear fun and cute, many of the suggestions actually perpetuate stereotypes and historical inaccuracies. There has been a long history of misinformation about Indigenous Americans in our school systems and we want to work together to alter some of those misconceptions. During my early childhood years, I was fortunate enough to attend a preschool that was directed by my tribal nation. When I would walk into the classroom, there were items from my culture and words familiar to me in my tribal language, posted on the bulletin boards and, in our play areas. It made me feel comfortable to be here and see things with which I was familiar. That changed when I entered the public-school system for elementary school. I can recall making paper headdresses and paper roll totem poles. I went along with it because, “Hey, I knew it wasn’t my culture.” It wasn’t until my adulthood that I looked back and wondered “Why didn’t my elementary or high school teachers use the resources that were readily available?” We had a tribal museum with educators from my tribe who could have come out and spoken to them. Maybe the teachers just didn’t know or were uncomfortable changing the way they taught. Either way, I missed out on being able to connect to my culture while at school. Working at the National Museum of the American Indian has given me the opportunity to observe what our visitors know about American Indians and sadly, much of it is stereotypical. Below is a list of ways that you, as a teacher, can break through some of those stereotypes and begin to paint a more realistic picture of American Indians. I have had visitors tell me that I am not Native or that I am only a little bit Native because of my green eyes and fair skin. Not all Native people look like what you see in the movies or in books. Allow students to explore their own cultures and other cultures by including culturally diverse objects, contemporary photos, and toys in your classroom. Be mindful not to choose stereotypical or culturally insensitive materials. For example, Native people prefer that their clothing not be used as dress up because traditional clothing or regalia is sacred and there are many cultural meanings behind the items that we wear. Discuss similarities and differences of American Indian tribes, even those that live in the same area. There was not one Native language or culture. Though Native people adapted to other languages and cultures, each Nation still has their own identity. Should you teach about regions, for example, “plains” tribes, be mindful to note their differences, as well. Consider using maps, talking about the environment, and comparing housing to illustrate these differences. They are great examples of the unique attributes of different tribes. Teach that Native people are still here today. Share with your students that American Indian nations are vibrant communities that exist today living in the modern world and still honoring their traditions. Utilize the internet and explore Native American owned businesses. They can provide access to goods for your classroom. I recommend Native Northwest Select or museum gift shops. Do be thoughtful when choosing which site from which to purchase. In a future blog, we will feature actual classroom lessons that will be centered initially on homes, a concept with which most children easily identify. We will then branch out to explore a typical home of the Wampanoag Nation, a wetu. Our goal is to illustrate how preschools can easily incorporate engaging, playful, and interactive lessons that can breakdown stereotypes and build appreciation for the diverse and rich cultures of the American Indian. Puzzles with Northwest Coast tribal designs from Native Northwest. For more information about the first Thanksgiving visit NMAI’s resources on the subject. An article written by SEEC staff about how to help children form a positive sense of self in their early years. For more information about resources and ideas, contact Adrienne at NMAI-ActivityCenter@si.edu. This entry was posted in Early Childhood Education, Museum Education. Bookmark the permalink.